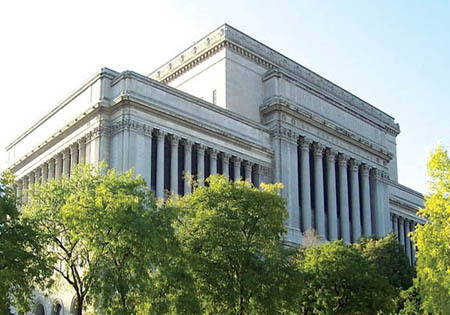 You are here: Home › News › Who Will Lead Milwaukee County? The Riverwest Neighborhood Associationand the Riverwest Currents are sponsoring a Milwaukee CountyExecutive Candidate Forum on Wednesday, Feb. 9, 7-9 PM at the GordonPark Pavilion, Humboldt and Locust. All five candidates have beeninvited to participate. It will be moderated by peace activist GeorgeMartin. The Forum is free and open to the public. Five candidates have declared for theMilwaukee County Executive position vacated when Scott Walker becameWisconsin’s governor. A nonpartisan primary set for Tuesday, Feb.15 will narrow the field to two candidates who will face off for theApril 5 election. The county executive candidates are (inalphabetical order): Milwaukee philanthropist Chris Abele, communityactivist Ieshuh Griffin, Acting County Executive Lee Holloway, stateRep. Jeff Stone (R-Greendale) and former state Sen. Jim Sullivan(D-Wauwatosa). Since he came to Milwaukee in 1994,Chris Abele and his family’s Argosy Foundation have been changingthe face of Milwaukee. Contributions to arts, environmental and youthorganizations, coupled with a “hands-on” approach, have set a newstyle of philanthropy in the city. Abele considers himself a politicalindependent, although his history of campaign contributing suggest hehas supported Democratic candidates. In the past, Abele has been linked todiscussions concerning the merging of city and county governmentsinto one body. More recently he has backed away from that stance, butin a recent debate said he favors moving toward efficiency andstrategies featuring joint efforts among agencies. He suggested theexample of a joint insurance pool. Abele is a definite political outsider,but has the wherewithal to surround himself with top qualityadvisors, and brings a significant financial advantage to the race. After gaining visibility running forthe 10th District State Assembly seat vacated by retiring Annette“Polly” Williams last fall, paralegal and community activistIeshuh Griffin is running for both the County Executive position andthe 10th District County Supervisor seat in the February primary. Another political outsider, Griffincharacterizes herself as a Socialist. She has called for a thoroughanalysis of the county’s policies to determine the roots of thefiscal crisis so they can be avoided in her administration. She iscalling for an in-depth evaluation of the county’s mental healthprogram, and a restoration of county services. Griffin continues to insist on fairnessin the lead-up to the primary race, and has overcome objections tobeing included in candidate forums. Acting County Executive Lee Hollowayhas no lack of experience in county government, serving for 18 yearsas a Supervisor, and eight of those as Chairman of the County Board.After Scott Walker’s departure he was sworn in as Acting Executiveon Dec. 28 to serve for 30 days. During that time he must appoint anInterim Executive to serve until the April 5 election. There isspeculation that he will appoint himself, in which case he would haveto step down from his chairman position and give up his seat on theboard. Holloway decided to put his 30-daytenure to use, showing about 30 Walker appointees the door andreplacing them with his own people. He has offered proposals aboutreplacing county mental health institutions with smaller-scalefacilities, and continues to support the creation of a sales tax toimprove transit services. His otherwise well-presented website,however, offers a “coming soon” placeholder for the “Issues”page. Currently serving as a StateRepresentative in the 82nd State Assembly District, Jeff Stone hasbeen characterized as a “moderate Republican.” He was elected tohis seat in a special election in 1998 and has served ever since. Heand his wife own a small printing business in Greenfield. Considered a “moderate Democrat,”Jim Sullivan is a lawyer specializing in health care law. He was amember of the Wauwatosa City Council from 2000 to 2007, andelected to the 5th State Senate District in 2006. He was defeated inthe last election by Republican Leah Vukmir. During his time in the State Senate,Sullivan is noted for working on veterans benefits, health carereform and increasing drunk driving penalties. Most notable about Sullivan in theCounty Executive race are his endorsements. He has union support fromthe American Federation of State County and Municipal Employees(AFSCME) District Council 48 and the International Union of Paintersand Allied Trades (IUPAT) District 7. He also received an endorsementfrom Dan Cody, President of the Park People of Milwaukee County. Balancing the budget and providingservices are at the top of Sullivan’s list as County Exec. Sometimes in the interest of fair playand polite rhetoric, there are some things that it just seems unfairto mention. On the other hand, if they are not mentioned at all itseems like bad reporting. For the historical record, the Currentsoffers the following factoids. One of these candidates was denied theright to include a particular five-word descriptor after her name onthe 2010 ballot. This candidate has been covered by the HuffingtonPost, the Daily Show, and other national media. One of these candidates is being suedby the Shepherd Express in conjunction with the Milwaukee FilmFestival. Lou Fortis, publisher of the ShepherdExpress, is an advisory board member for another of the candidates. Three of these candidates haveundergraduate college degrees. Two have advanced degrees. One doesnot have an undergraduate college degree, despite probably spendingmore time on more college campuses than any of the others. Theeducational status of the other candidate is unknown at this time. One of these candidates owns severalrental properties that have been cited for problems by the MilwaukeeDepartment of Neighborhood Services. Two of these candidates have no known“elephants” as of press time. Polls will be open on Tuesday, February15 from 7:00 AM to 8:00 PM. For info on how to register or where tovote, go to milwaukee.gov/election or call the ElectionCommission at 414.286.3491.